Old-fashioned Smoked Franks: This unique frank brings the taste of German-style franks known for the sweet smoked flavor back into style. The ‘old time’ casing holds in the rich delicious flavor and provides a nice crisp bite. Imagine a taste sensation reminiscent of your grandparents’ experience many years ago when the ‘hot dog’ was introduced at the local community ball field. 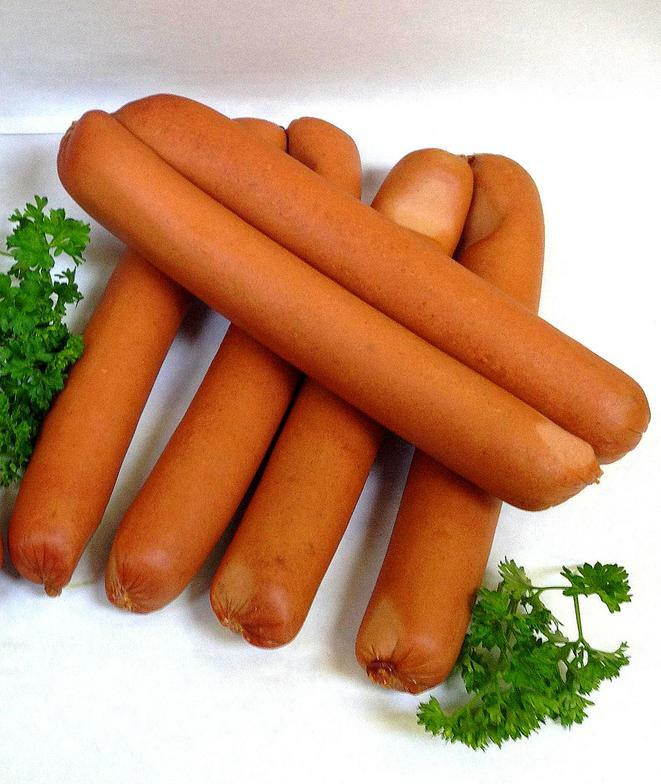 Smoked Skinless Franks: These franks are made with the same blend of lean meats and mixture of spices as the Old-fashioned Smoked Franks without the casing. We consider this an updated version of our delicious original frank with the same excellent flavor. 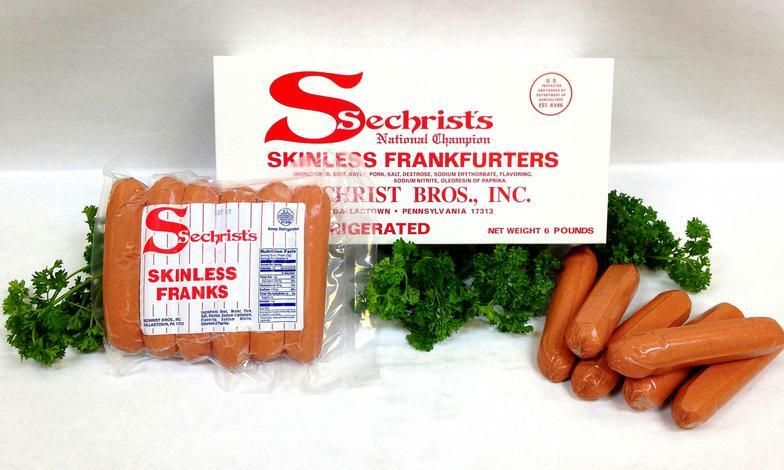 Skinless Franks: We refer to these as regular franks, however, they are anything but regular. This was affirmed by national judges in 1993 as our regular franks won Grand Champion Honors at the national competition in Las Vegas, NV. They have a similar taste to a traditional ballpark frank, but a much more plump flavorful hot dog than the others. 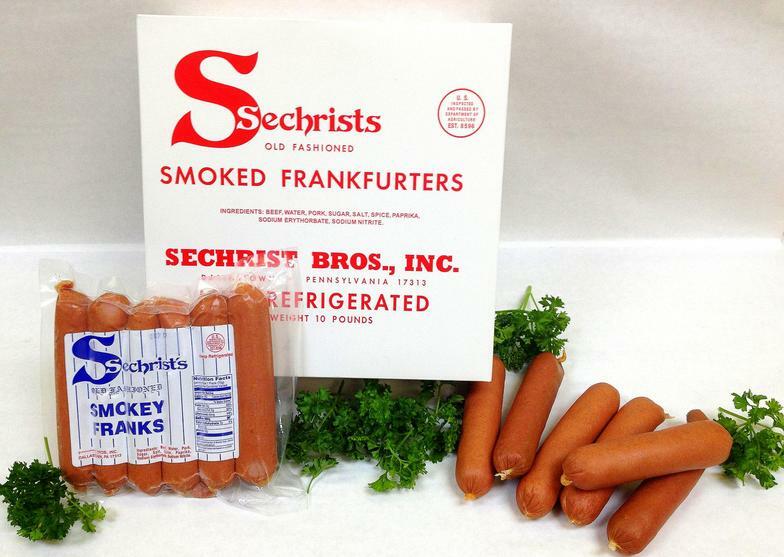 Smoked Sausage: If there is any question where one can get real PA Dutch-Style smoked sausage, the answer is at Sechrist Bros. Meats. It is a variation of a German recipe that has been in the family for over 120 years. Our smoked sausage is the finest. Butcher Bologna: This is certainly a signature product for our company. Made with only the finest lean beef and select spices, it is delicious either cold or heated to bring out the subtle flavor of this old fashioned treat. 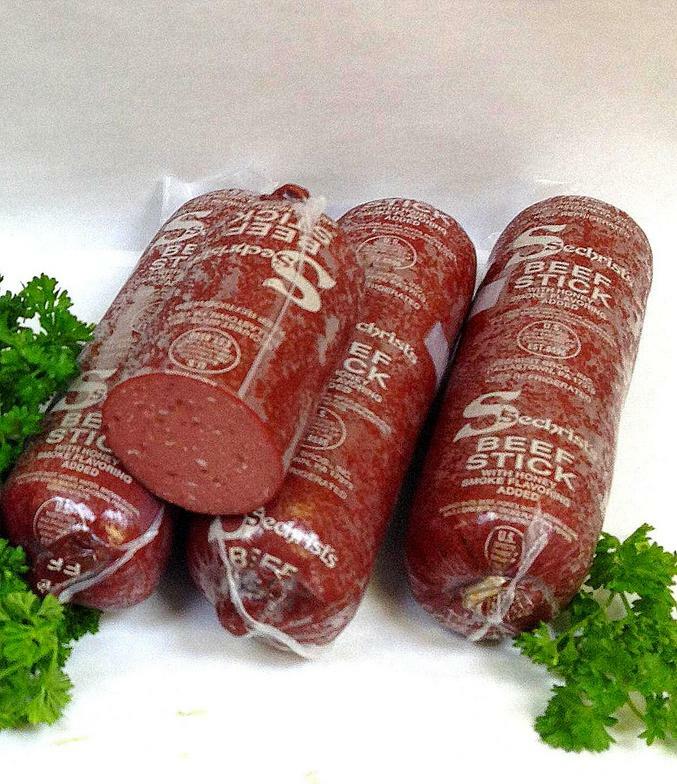 Beef Stick: Another award winning product. Pure natural honey blended with spices, it is another savory Sechrist Bros. exclusive. Smoked Hams: Received honors as the 1993 Pennsylvania Grand Champion. Sechrist Bros. selection of quality hams provides an excellent choice. Sugar cured and smoked to perfection, these fully tenderized hams will very likely create a tradition for your family. 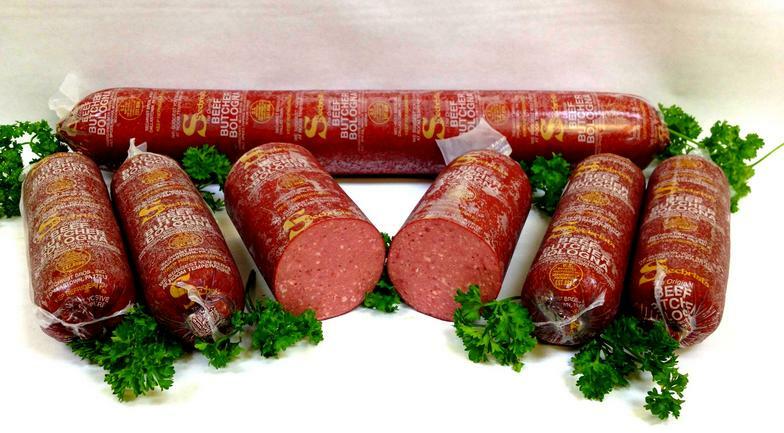 Sechrist Bros. offers a wide variety of fresh and smoked meats at the Main Street location. Selections of cheese and other deli products are available. Please call 717.244.2975 with any question regarding product availability or to place a special order. The following products are unique to Sechrist Bros. and available for shipping. 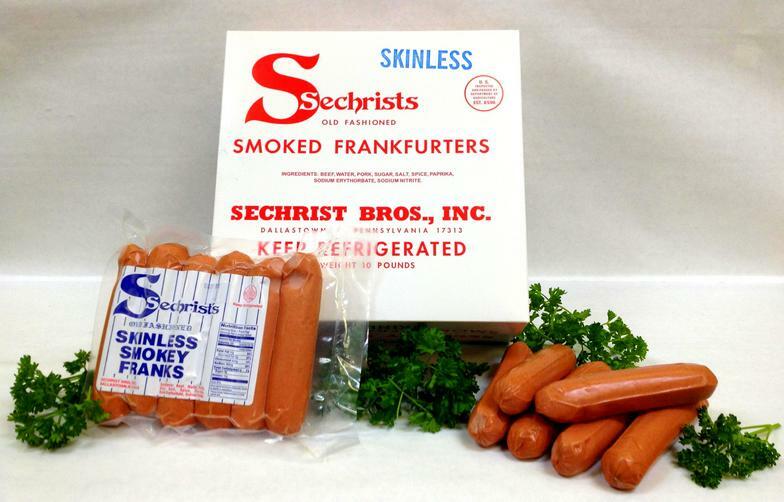 *Look for Sechrist Bros. famous hot dogs and bologna in local grocery stores.